There aren't many family films that provide insight into the nascent French cinema of the 19th century, but then again there aren't many directors with a love of film history as deep as Martin Scorsese's. His new film, Hugo, tells the story of the titular Parisian orphan (Asa Butterfield) who lives in the rafters of a bustling train station, secretly maintaining its many mechanical clocks with the skills he honed alongside his late father (Jude Law). A tinkerer by nature, he watches with fascination the clockwork precision of the world below him, filled with its many creatures of habit, and is compelled to intervene when something seems awry. Such is the case with the grumpy toy booth proprietor Georges (Ben Kingsley), whose curmudgeonly exterior conceals a deep sadness that is unexpectedly triggered when he finds Butterfield with detailed sketches of a mysterious metal automaton. Hugo whirrs along like a well-oiled machine as it delves into the backstories of Butterfield and Kingsley, bridged by the latter's goddaughter (Chloe Grace Moretz), an adventuresome girl with a novelist's passion for peeling back the emotional layers of complicated human beings. With tenderness she mediates a halting relationship between the boy forced to grow up quickly and the man who acts as stubborn and selfish as a child. The struggle for sympathy permeates the film, often manifesting in romance. It is Paris, after all, where even the glowering station inspector (Sacha Baron Cohen) threatening to ship Butterfield to the orphanage has a soft spot for the shopgirl at the flower stand. 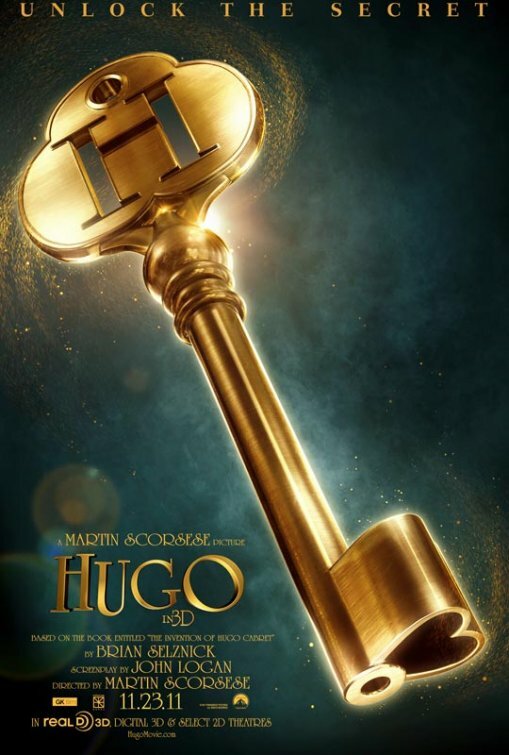 First and foremost, however, Hugo is enamored with the alchemy of cinema. Scorsese has created a gorgeous valentine to the movies and a compelling investigation of the medium's unique ability to visualize dreams. Using the simplest magic tricks, we learn, the early masters replicated scenes previously confined to the imagination. The fact that Hugo is a digitally-shot movie offered in 3D (I saw the non-enhanced version) creates some ironic dissonance in its overall effect. The film's too-conspicuous visual gags are like little cacophonies in an otherwise sweet and elegant chorale of the senses. Like most films, Hugo would not be possible without the technology and the know-how to make it run, but it would also break down without the heart and keen affection that drives even the most meticulous among us.